Another Tuesday is here, which means it’s time for another Five Favorites link-up with Hallie! If you haven’t joined yet, you should! 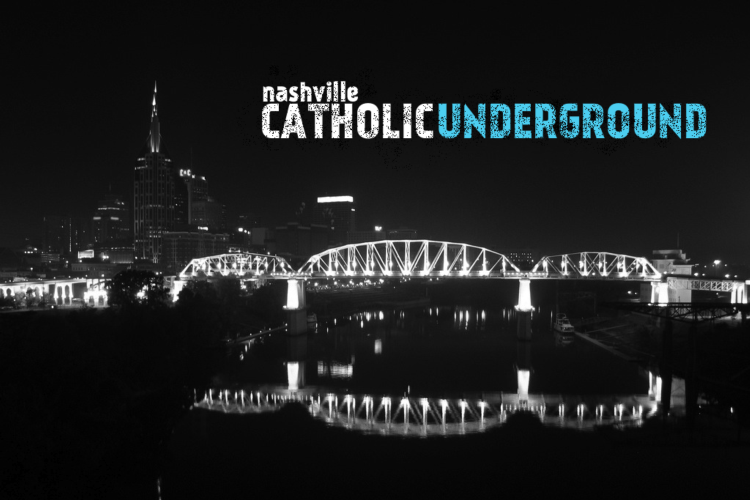 Catholic Underground is an event geared towards young adults that is active in some other big cities in the U.S. and even Europe! If you haven’t heard of it before, click here to read more about it! Adam and I first heard about Nashville Catholic Underground through a friend who suggested Adam should play a show. Fortunately, we were able to go check it out this past Saturday! The evening began with Eucharistic adoration and ended with a concert in the basement of St. Mary of the Seven Sorrows, which is the oldest church still standing in Nashville! Adam is going to play a show when the new season starts up after the summer! Another cool part about making it out to Catholic Underground the other night, was that I met up with a fellow Nashvillian and Catholic musician, Tori Harris. I ran across her blog last fall and recently saw that she released her EP at the beginning of this year. I saw this awesome article on EntreCatholic.com last week and mentioned it on Twitter, which led to a conversation about when we should meet-up. How convenient that Catholic Underground was the very next day?! Has to be a Godincidence, right?! Be sure to check out Tori’s EP, Adoremus, which is available on iTunes! I got chills a couple times while listening in the car the other morning! I love this eyebrow kit from Bare Escentuals! I never realized how much filled-in brows can really enhance your make-up look until I started using this powder a few years ago. It looks natural and very little product needs to be applied, which makes one jar last a very long time (like, years)! 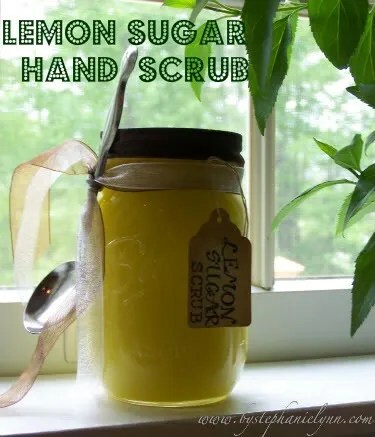 Could this homemade scrub be any easier?! I made some as a gift for Mother’s Day. My hands felt very smooth after using it! 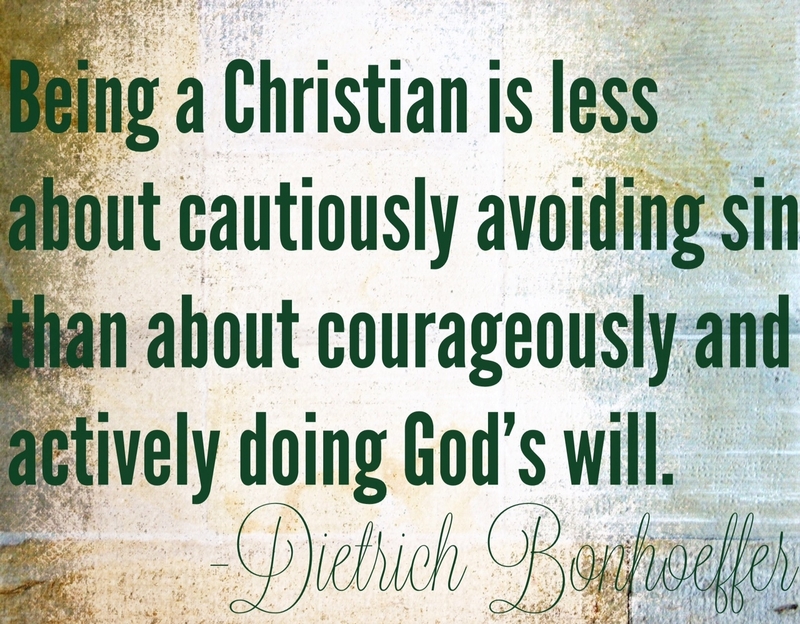 I absolutely love these words by Bonhoeffer! I used to just try to “be good.” Now, I’m really trying to listen to what God wants me to do. I’m continously growing every day and I live life with much more energy and purpose! For more of my favorite inspirational words of wisdom, click here! ← 10 More Inspirational Quotes about Following God’s Will! One of my favorite quotes of all time!! I love Tori’s album cover – can’t wait to check out her new tunes!! Awesome! I’m glad that you’re going to check out Tori’s music! great faves list! we used to have The Underground here in Pgh. I miss it. It was such a beautiful monthly encouragement to us. I’ll check out Tori’s EP. Thanks for the links! Thanks! Glad you’re going to check out Tori’s EP! I LOVE Bonhoeffer…Jim and I just watched an awesome documentary on his life over the weekend…i’m even more excited to read a new biography of his life I heard about on Catholic radio. Yeah, he’s awesome! Eric Metaxas’ Bonhoeffer book is amazing! I love him! I’m guilty of over plucking myself! I’ve gotten better though! I love the quote! Have you read Bonhoeffer by Eric Metaxas? It’s excellent! Yes, I have! I recommend it to everyone!